Gears up to 1m in diameter can be measured. RONSON Gears has released a CNC gear measuring and co-ordinate measuring machine from Wenzel GearTec. It has an integrated rotary table and Wenzelgeco controller. All kinds of gears, worms, worm gears, bevel gears, shafts and other rotational symmetrical parts can be measured. The scanning of unknown contours is also possible. It is available with Wenzel Metrosoft CM software for prismatic parts and free form surfaces. 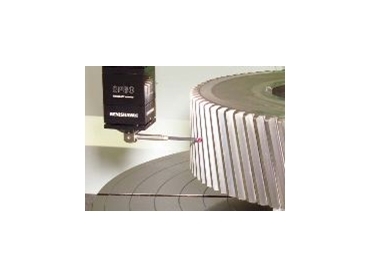 Gears up to 1m in diameter can be measured on the equipment.